If exuberant ripe fruit, harmonious tannins and an overall impression of generosity and lushness are what you’re after in Châteauneuf-du-Pape, then 2016 has plenty to offer. But the best wines also display real energy, making this a standout vintage. References to other great years such as 2010 and 2001 abounded during my visits with producers in mid-April, and while I concur with the comparison to 2001, the ‘16s show more flesh, more abundant fruitiness and rounder tannins than the 2010s did at a similar stage. At the same time, I believe that the wines will often be superior to those from recent hot years like 2009, 2007 and 2003 because of their greater freshness. The mostly higher levels of acidity displayed by the ‘16s are largely due to cool nights throughout the growing season and the harvest. That said, as a group these are undeniably powerful, fruit-driven wines, sometimes flamboyantly so. But if large-scaled Châteauneuf isn’t your thing, then this is a vintage to approach carefully, probably even more so than is the case with the almost universally outstanding 2015s. Best of all, the tannins in the 2016s tend to be round and pliant and they already harmonize nicely with the wines’ abundant fruit rather than enclosing it, as was – and still is – the case with some 2010s and, especially, the 2005s. While I’m confident that the best ‘05s will easily stand the test of time (the ‘10s are still extremely young in most cases), I have also heard from a number of impatient Châteauneuf lovers that they’re worried that the structure of these wines, particularly their tannins, will always dominate the fruit. While I respectfully disagree with this view, I do sympathize with those who prefer fruit to structure and ’05 just isn’t that sort of vintage. Two thousand sixteen, on the other hand, is shaping up to be a vintage that '05 skeptics will be able to get behind. The ‘16s, while well-structured, do show less overt backbone and more sheer heft, power and forward fruit than most examples from 2010 or 2015 (or pretty much any recent vintage, for that matter), which is a plus or a minus, depending on your personal taste. What sets 2016 apart from most hot years is that the region enjoyed cool nights during the crucial summer months, which helped the grapes retain acidity and prevented sugar levels from going completely off the rails. Growing conditions were ideal throughout the season, beginning with a warm, dry spring and continuing through a dry, warm-to-hot summer with those aforementioned cool nights. Some well-timed rain at the end of August refreshed the vines. Harvest officially began on September 9, with growers relaxed and in no particular hurry to pick. I heard nothing but superlatives about growing season conditions from the producers I visited, with the possible quibbles that there wasn’t much rain and that, owing to flowering issues with Grenache in some vineyards, yields were slightly diminished. The harvest was wrapped up by the second week of October, which several producers told me “was kind of like the old days,” timing-wise. Berries tended to be small and grape skin colors darker than usual, but there was no shriveling of the fruit or rot issues. At the risk of sounding like a broken record, 2017 is shaping up to be yet another top-quality vintage. I say that based on reports from producers I have come to trust over the last few decades as well as on my tastings of dozens of post-malolactic fermentation samples pulled from cask during my numerous cellar visits in April. At this early stage the wines strike me as a hypothetical blend of the lushness of 2016 and the structure of 2015. Yet I fear that too many superlatives from the trade and press are starting to pile up and that consumers, who have never been so spoiled for choice, may soon become fatigued by what they might view as hype. The old adage that “if it seems too good to be true it probably is” just hasn’t been working much lately here. The fact is that while the domains and négociants that have been at the top of the Châteauneuf heap for years, even decades, are almost all still on their games. Increased competition within the appellation means that numerous producers who were making so-so wines just a few years ago can now be counted on to produce very good to flat-out terrific wines. Yes, there is still a small minority of underperformers in the appellation – mostly making rustic if not downright funky wines – but there’s precious little Châteauneuf being made now that could be called wretched, or even mediocre for that matter. 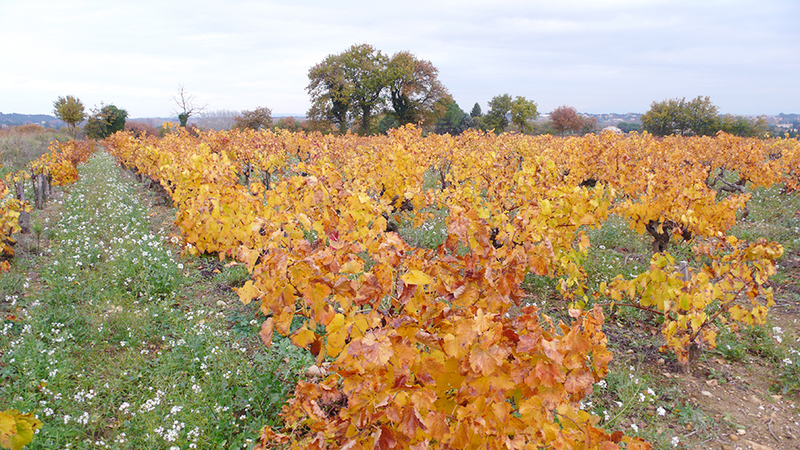 Land costs continue to climb steeply in Châteauneuf-du-Pape, with the going rate for a planted hectare hovering between $500,000 and $700,000, depending on its location. 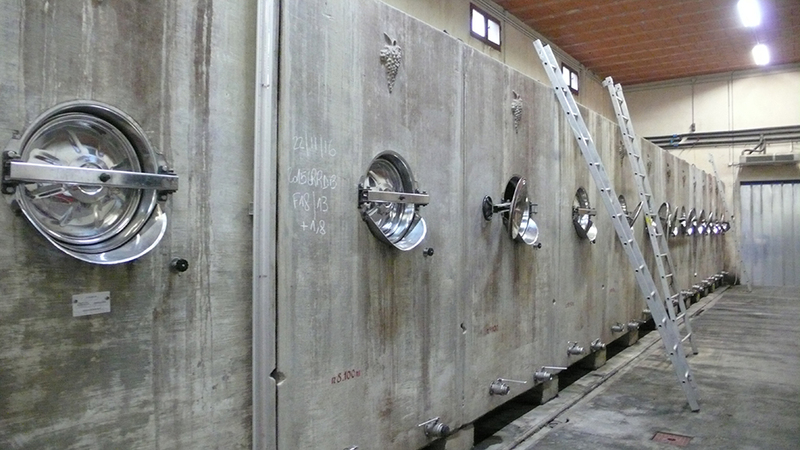 Compare that to Gigondas at a little over $200,000 per hectare and Vacqueyras at about $100,000. It doesn’t even take a class in Econ 101 to see where that’s pushing wine prices, and from all anecdotal evidence vineyard prices aren’t coming down. I tasted most of the wines covered in this article in France in April and followed up by sampling more bottled ‘16s in New York in late spring and early summer.